Today, T-Mobile released a new book by CEO and first-time author John Legere… and in signature Legere style, it’s a complete departure from anything you’d expect out of a typical exec. 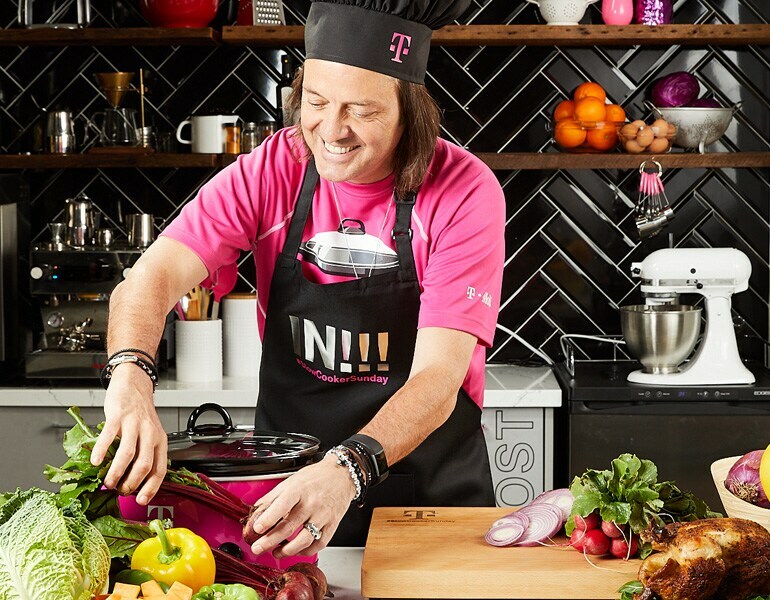 #SlowCookerSunday – Leadership, Life and Slow Cooking with CEO and Chef, John Legere, features 52 of Legere’s favorite slow-cooker recipes that he has shared with nearly 5 million viewers each week in his wildly successful Facebook Live show. All that, plus advice to take from the office to the kitchen, behind the scenes tales from the popular show and a peek into the makings of the man in the magenta chef’s hat. Net proceeds from the sales of the book benefit Feeding America™… and, just in time for holiday giving, it’s available at T-Mobile.com December 6th and in all T-Mobile stores nationwide starting December 7th. Anyone who eats delicious food – so, everyone! Bellevue, Washington — December 6, 2018 — What’d you expect from the Un-CEO? Today, T-Mobile (NASDAQ: TMUS) released an unconventional book from its trailblazing CEO, John Legere. 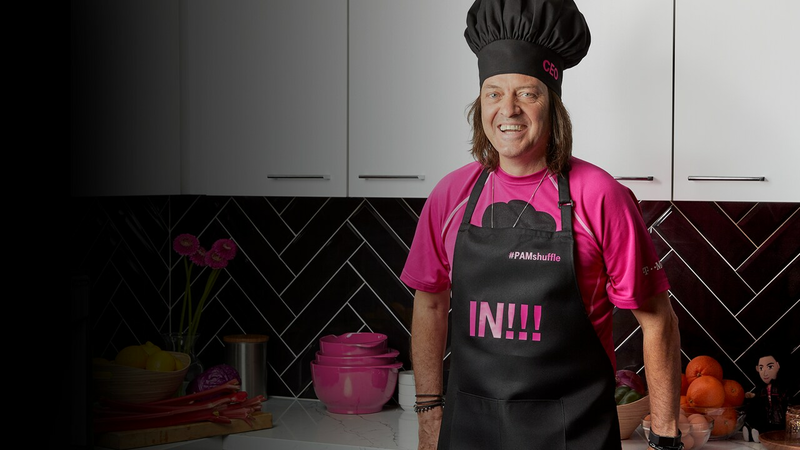 This is no typical autobiography, nor a typical cookbook, because John Legere isn’t your typical exec… he’s got a side job: his own weekly slow cooking show on Facebook Live that grabs the attention of more than five million viewers a week. And now he’s written a book about it! With a foreword by domestic diva Martha Stewart, #SlowCookerSunday includes recipes that Legere has curated from others and enjoyed, sometimes adding his own twist. But don’t look for the expected alphabetical or season-by-season cookbook organization. Legere mixes things up by incorporating recipes, stories and advice into chapters that speak to all three, like ‘Don’t Be a Chicken,’ – tips on making bolder moves at work and in the kitchen, plus non-chicken recipes like a melt-in-your-mouth pot roast, an easy apple cake and a corned beef and cabbage dish reminiscent of Legere’s Irish Catholic upbringing. In ‘Get Comfortable Being You,’ Legere shares the importance of becoming your authentic self, alongside plenty of comfort food recipes like a cheesy spinach and mozzarella rigatoni, chicken cacciatore and a giant chocolate chip cookie. There’s something for everyone -- vegetarian and vegan meals, plenty of protein, a smattering of desserts and a whole chapter of soups, stews and chilis. Visit www.feedingamerica.org for more information.